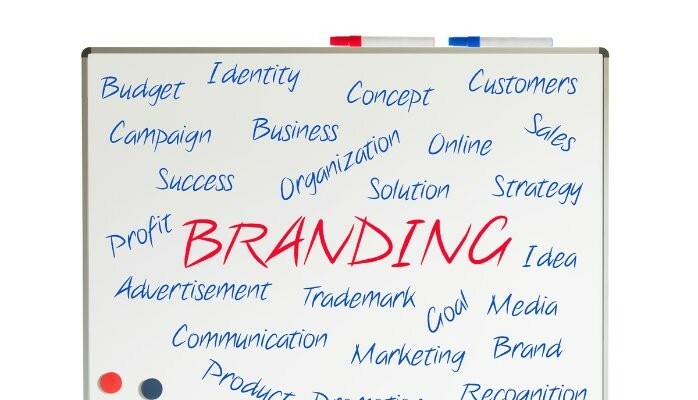 When it comes to maintaining and growing a company, branding is a critical aspect in any industry. Even with well-selected workflow processes or an amazing office, without a solid brand, a business will likely suffer. Branding your company correctly is such a huge asset today and years from now. Staying innovative with your brand is even more important. Remember Blockbuster is out and Netflix is in. This is a company that stayed innovative and started with only 20-something employees. They created and continue to maintain a loyal brand of customers. “Your success makes you blind to new ways of thinking” is a phrase by Michael Gerber I often quote when I speak to the older business professional who just doesn’t understand how you need to modernize your business, starting with a modern and responsive digital brand. The idea of branding was born out of the necessity for consumers to be able to distinguish between businesses. The overriding reason? So that people knew which brands to trust. By identifying one of their favorite products or services from a company that provided quality, these consumers were able to continue purchasing from a brand they found reputable. Overtime, these brands, and their messages, developed in sophistication, using such elements as names, symbols, colors, and other aspects. Today, not only do consumers use brands, but investors, corporate partners, and employees also rely on branding to understand their companies. In addition, owners also use the brand to communicate the values they see as foundational to their corporations. In this way, branding has developed into full identities for the businesses they serve, acting as a mouthpiece for the company. What are the consequences of having a badly designed brand? Because branding functions the same way as any corporate asset, it’s fair to look at it as a form of equity. What happens when a company has poor equity? They are at greater risk of liability and have a more difficult time growing. Let’s look at a few examples of how bad branding can effect a company. The first is that potential recruits especially digitally savvy and highly talented ones, might not be attracted to a business without good branding. Without talented people, it can be difficult to build the right team to get the job done. Another way that branding that isn’t well done can hurt a business is that customers may not have a connection, known as brand loyalty, to the company. This can decrease sales over time. Each of these areas can greatly impacts a business’s growth and stability. What are the components of successful branding? Luckily, there are many brands and their company owners out there that get it right. Take Tony Hsieh of Zappos.com, who said, “At Zappos.com, we decided a long time ago that we didn’t want our brand to be just about shoes, or clothing, or even online retailing. We decided that we wanted to build our brand to be about the very best customer service and the very best customer experience.” With this in mind, many corporations have hit on the winning formula. Some components of good branding include clearly conveyed emotions and messages. A color palette that has been professional chosen is a good bet too. Marketing collateral that also reflects the brand message is another area that is important to look at. At the end of the day, however, the most important piece, which Hsieh identifies, is branding that creates a full experience. With this in place, a business can be confident in its ability to convey its values and message.